Shinsoh Audit Corporation is one of the qualified audit firms permitted to audit listed companies in Japan. We are confident of our audit quality. We are able to audit any kind of company, including listed companies. In terms of our audit quality, we are obliged to undergo quality control reviews implemented by the Japanese Institute of Certified Public Accountants. In the last review, we gained recognition for “No Material Errors Found” in our audit quality as well as in the firm’s quality systems. We are middle-sized audit company. So we are able to respond to client's demands quickly, efficiently and properly. 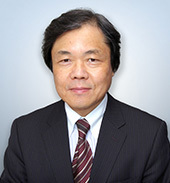 In 2000, Shinsoh Audit Corporation was co-founded in Ginza with Giichi Yanagisawa. Your inquriy is important to SHINSOH.